Mark Zuckerberg tours Kenya, on his first sub Saharan African trip. Mark Zuckerberg is a founder of facebook and a social media billionaire, Kenya was honored to host such a high profile figure and an ICT icon. 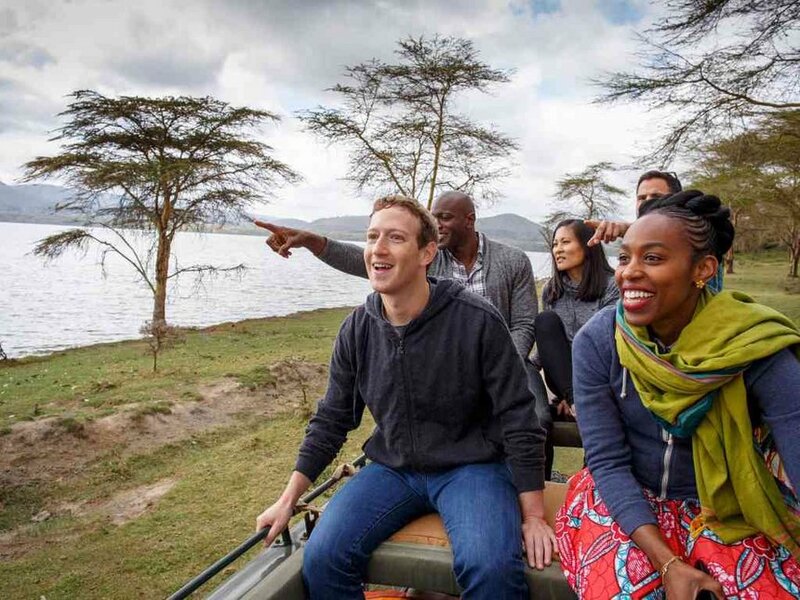 Mark Zuckerberg tours Kenya, particularly visiting Lake Naivasha and enjoyed game viewing, what caught his attention most was the darling baby giraffe, He was delighted to come close to nature, by the post on his facebook page He noted that ‘for some good news, visiting Kenya means getting to see amazing natural beauty and wildlife.” Mark Zuckerberg’s tour to Kenya is a big statement to the world that Kenya is still a safari haven, irrespective of the previous security issues. 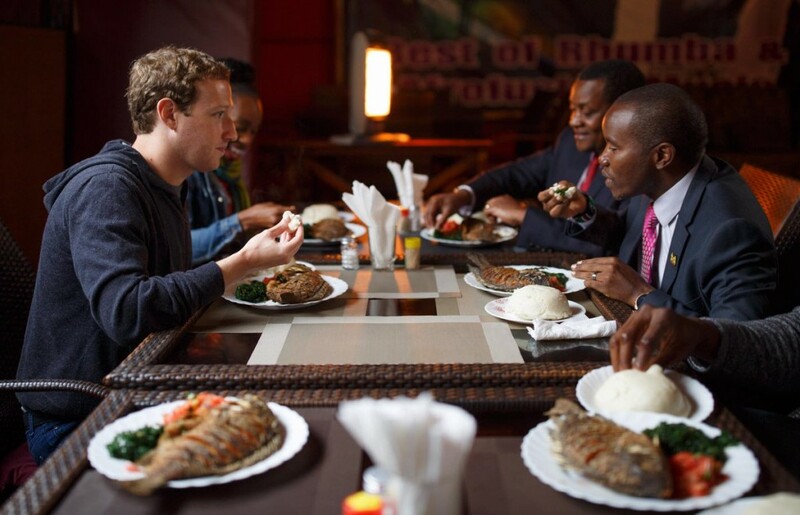 As Mark Zuckerberg tours Kenya, he had a taste of the Kenya’s local delicacy ugali and fried Tilapia at Mama Oliech Restaurant. He was accompanied by Kenya’s Cabinet Secretary of Information and Communication Joseph Mechuru and other officials. Mark Zuckerberg posted on social media that “had lunch in Nairobi with Joseph Mechure the Kenyan cabinet secretary, talked about internet access and his ambitious plans of connecting everyone in Kenya. He said that “one of my favorite part of travelling to a new country is trying the food”. He confessed that he enjoyed ugali and a whole fried tilapia eating it for the first time. He was delighted to meet the two engineers who designed the system to help people use mobile payments to buy small amounts of cooking gas. Mark added that “it was inspiring to see how engineers here are using mobile money to build businesses and help their community. He went on to visit other startups in Nairobi and interacted with them on a personal level. He laughed and admired the Strauss Energy Roof tile; a building materials technology that captures the sun’s rays and converts them to solar energy. 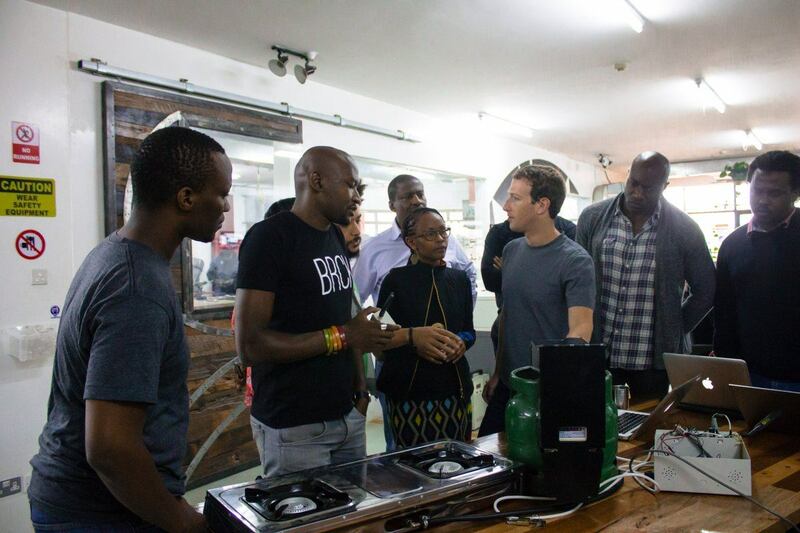 His tour to Kenya was so educational and inspiring especially to Africa’s entrepreneurs. Kenya has consistently hosted world’s high end personalities in a space of one year, shortly after western countries sent out advisory notes for their citizens not to travel to Kenya. Since last year (2015), Kenya has hosted John Kerry the Secretary of State of United states of America, and President Barack Obama of United states of America who was on a state visit to the country, during his visit last year in July, the President praised Kenya’s tech entrepreneurs and said that “This continent needs to be a future hub of global growth, not just African growth”. Kenya also hosted the former Nigeria’s president Goodluck Jonathan who visited Masai Mara Game reserve on a family safari vacation. This is to show the world that Kenya is a place to go when planning an African tour/ vacation and irrespective of the past hiccups. Kenya is endowed with lots of tourist attractions, from abundance of wildlife including all the big five and the big cats, birds, stunning lakes, spectacular mountains, and white sand beaches found in Mombasa and Malindi. Plan to visit Kenya for a safari.